Silver Traverse is dedicated to a lifestyle of adventure and travel - specifically travel from a towed Airstream Basecamp travel trailer. Capturing the experiences from the road, reviews of equipment, and stories of adventures, Silver Traverse is a compliment to the fine art photographs seen on Scenic Traverse. We will see you on the roads! The Airstream Basecamp travel trailer, with its polished silver aluminum body exterior, serves as home during our cross country travels. The Basecamp provides us with a mobile bedroom, bathroom, kitchen, and workspace... allowing "home" to be wherever we park it. With solar panels, light truck tires, a compact towing package, and fully integrated onboard systems, we can travel virtually anywhere. We can get closer to the adventure than ever before. 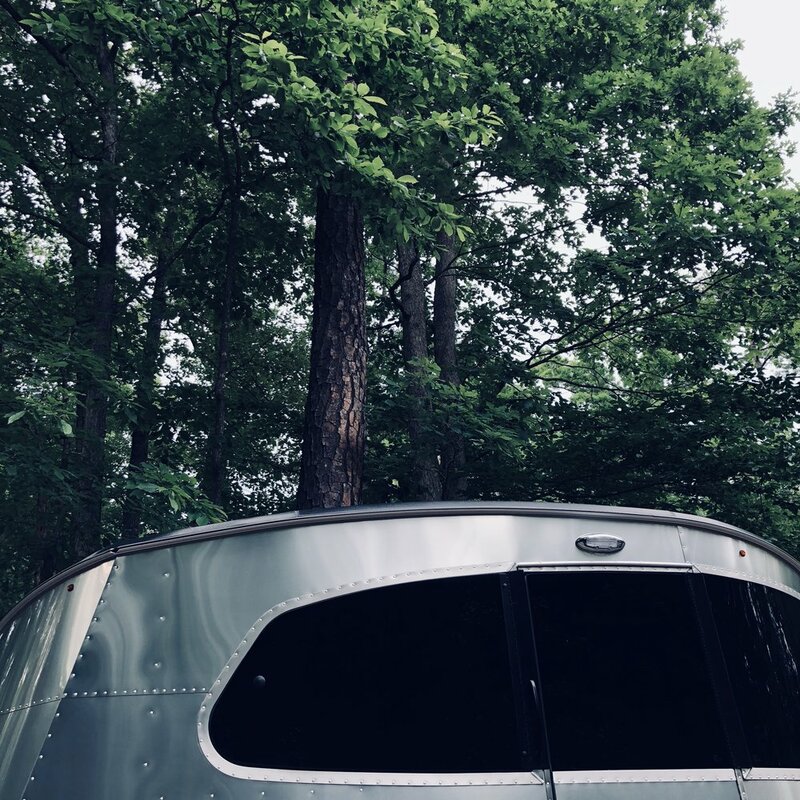 The Airstream Basecamp serves as a mobile studio for Scenic Traverse Photography, allowing Kristen to produce fine art photography from anywhere in the country. In 2016, Kristen (from Scenic Traverse) embarked on a road trip that changed their lives. Over the course of a month, she travelled over 3,000 miles across the American southwest. During that time, Kristen chronicled her travels in a photography book titled "Revolutions". Following that adventure, Kristen began saving and planning to purchase an Airstream Basecamp; a small travel trailer designed to support adventure in an easy-to-tow package. In 2018, she were able to purchase her own rig, and has embarked down the road! Jake Sulley Jr, aka "JJ"
The first camper van that was used by Kristen was named "Jake Sulley" in honor of the main character from the motion picture 'Avatar'. While the fully story of how that van came to have that name is described at length in Revolutions, the gist of the story is that the van harkened back to the Avatar movie through it's neon mushroom paint scheme (I promise, it makes more sense if you read the book!). When it came to naming their new camper, Kristen wanted to pay tribute to the van that started it all, and decided to give the Basecamp the same name... "Jake, jr" or JJ for short.